One of my most favorite people asked me to design a First Birthday invitation for her precious little boy (who I'm obsessed with!). 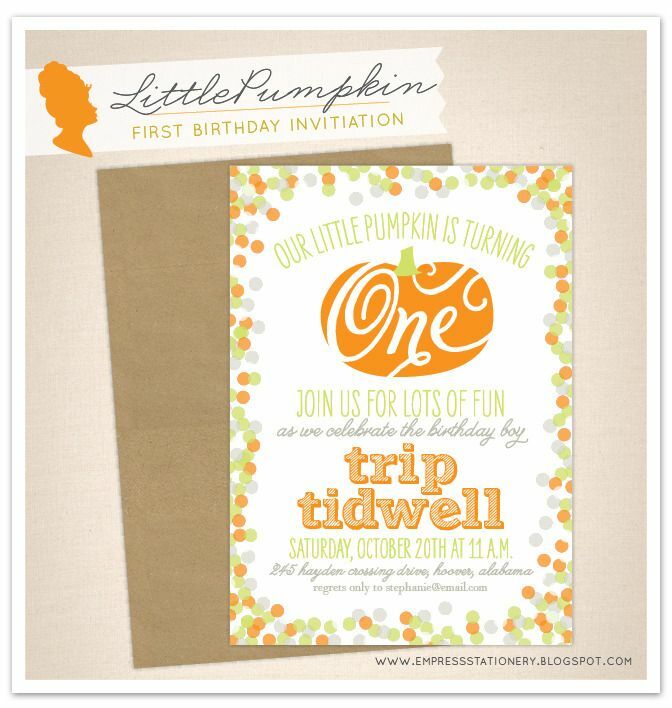 Since he has an October birthday, the party is pumpkin/fall themed. How sweet is this! For inquiries, email Sarah.S.empress@gmail.com.